How do individuals get into the program? Our individuals typically come to us through organizations like the Division of Developmental Disabilities (DDD), which certify their disabilities prior to referral. Individuals must be 21 years of age to enter the program, and they may stay as long as they wish or are able. What is the cost to the family? Most of our programs are fully funded by the state. In some extraordinary cases, however, there may be some cost to the family. What is the staff-to-individual ratio? There is one staff member for every six individuals at the Community Access Centers. The ratio of staff to individuals in our Special Needs Program is one to three, and in Crew Labor, it is one to five. How many individuals are served at each facility? The number of individuals served varies based on the size of the facility. Click here for a complete listing of staff training. Yes! Curbside service is provided to and from the program at no cost to the individual. What sorts of activities do individuals participate in? Will I know what my loved one’s schedule is? In addition to a variety of therapies and activities within each facility, there are a number of community-based opportunities every week. Each center has its own program schedule; all are available for review. What are are the hours of operation? Community Access Centers are open Monday through Friday from 9 am to 2 pm. The hours of operation for Crew Labor are 8:30 am to 2:30 pm. Centers are closed on holidays. Eligibility criteria for services funded by the Division of Developmental Disabilities (DDD) is outlined in state law, and the application process can be time-consuming. DDD requires extensive documentation to determine whether an individual’s functional limitations fall within the specified criteria. Only legal residents of the United States who are also legal residents of the state of New Jersey can be eligible to receive DDD funding for Adult Training Centers. To receive these services, an individual must show that he or she has a severe, chronic physical and/or mental impairment that manifests in the developmental years (prior to age 22), is lifelong, and substantially limiting in at least three of these life activities: self-care, learning, mobility, communication, self-direction, economic self-sufficiency, and the ability to live independently. 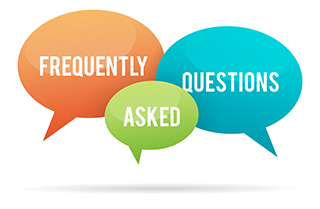 If you have questions about your potential eligibility for DDD funding and you live in Camden, Burlington, or Gloucester County, you may contact your community office located at 2 Echelon Plaza, 21 Laurel Road, Suite 210 in Voorhees, NJ. The office can be reached by phone at (856) 770-5900. A DDD intake staff member will be there to discuss your situation and help guide you through the application process.